I have a drinking problem, and it makes me order two beers at a time in bars and restaurants. My problem is this: We drink our beer too cold, America. Beer typically flows from taps and your fridge at a frigid 38 degrees, an ideal temperature for the mass-produced brews designed to be refreshingly easy to drink while obscuring the cost-saving ingredients within. But for beers aspiring to some degree of nuance — arguably the definition of craft beer — 38 degrees is the equivalent of plastic wrap around a Kandinsky: It obscures all the beauty within. Sipped too cold, most craft beer is a shadow of what its maker intends, with layers of flavor lost to a palate-chilling cold. The ideal minimum temperature for most craft beer is in the low to mid-40s. For hearty yeast or hop-forward ales, a bit warmer. For even more adventurous styles, such as lambics or imperial stouts infused with flavors of oak, bourbon, chocolate, coffee or vanilla, warmer still — arguably as high as the upper 50s. When trying to meld an array of intricate flavors by pairing beer and food, proper temperature becomes even more important. In the best bars, I therefore often order two (or more!) beers at a time: one that doesn’t mind the cold to sip immediately and one that’s higher alcohol, more complex and best served by 20 minutes of slowly warming. A double order sometimes furrows the brow of a bartender or companion — as if my drinking problem is far more serious — but of all the factors that influence beer taste, temperature is one of the easiest for a drinker to control. And so I do. The idea of “cold beer” remains intact as ever, thanks mostly to the millions spent by Bud, Miller and Coors to show us slow-motion pulls of glistening bottles from teeming buckets of ice. It reaches in every direction, from the innocuous (bars proudly trumpeting their “cold beer”) to the egregious (bars serving beer in chilled or — heaven forfend — frosted glasses). Though to be fair, sometimes, cold is exactly what a beer requires. That means being a proactive beer drinker: dual ordering in a bar or restaurant. 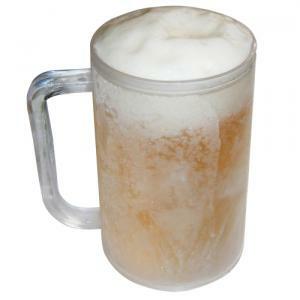 If served a beer in a chilled or frosted glass, requesting a room temperature glass and making a careful transfer. At home, pulling a beer from the refrigerator for 10 minutes to an hour before opening it. Or, if you’re Ray Daniels, founder of the Cicerone beer education program, sticking a beer in the microwave. The Cicerone program, which has certified the beer knowledge of 50,000 people worldwide, spends ample time discussing beer style, storage, tap line maintenance and glassware but relatively little time on temperature “because of the practical challenges for making that happen and because there are so many other dragons to slay,” Daniels says. But as a consumer, he is acutely aware. Though Daniels no longer microwaves his beer — “I’m not that impatient anymore” — he does make a habit of wrapping his hands around a fresh-from-the-tap beer to warm the glass before taking a sip. The issue is a beer’s volatile organic compounds; bad for smelling when it comes to paints and cleaning products, VOCs are everything to beer, releasing the aroma and flavor (which combine to create “taste”) as they warm. Daniels suggested an experiment: In identical glasses, pour a straight-from-the-refrigerator beer alongside a bottle that spent 20 minutes warming on the counter. Drink side by side. Voila — the joys of not-too-cold beer. So then why don’t bars and restaurants serve beer warmer? Practical concerns, mostly. Tap systems are standardized at 38 degrees for two reasons: It’s a temperature that keeps beer fresh and allows for easy troubleshooting when tap systems go awry with foaming issues. “If everyone ran at a different temperature of their own choosing, then it would be really hard to ensure proper beer quality,” Daniels says. That doesn’t mean breweries and bars aren’t trying to do their part. Jerry’s restaurant and bar, in Chicago’s Wicker Park neighborhood, has considered serving barrel-aged stouts at room temperature, or storing them at room temperature and chilling them when ordered to about 50 degrees. Or in the case of beer, as it warms. The more complex the ingredients, the truer it is. At Moody Tongue Brewing Co., for instance, brewer and owner Jared Rouben focuses exclusively on food-driven beers — Sliced Nectarine IPA, Caramelized Chocolate Churro Baltic Porter and Dehydrated Tangerine Cacao Wheat are three recent releases. On more than one occasion I’ve had a Moody Tongue beer at tap temperature and thought, “Eh — this is pretty good.” Twenty minutes later, the sentiment has usually changed to full-on “wow” as the complexity of the fresh ingredients emerged. Rouben professed no offense when I told him as much, and agreed that his beers are best between about 42 and 55 degrees. That belief is what led him to pick a peculiar shape as the branded Moody Tongue glass used in bars — the 15 1/2-ounce Napoli grande, which, based on its design, steers a drinker toward wrapping a hand around the glass’ narrow base, which slowly warms the beer. It’s a fair point. Beer isn’t just worth sipping at a precisely “proper” temperature, but across a range of temperatures that gradually unfold the flavor and nuance. Such an approach to beer drinking takes patience, thought and what some might consider fussing over. But like wine, spirits or anything else worth drinking, the best beers reveal themselves across a journey of sorts. Though, if you’re in a hurry, the microwave works too. As the old saying goes, pouring a beer over your head a day leaves your hair voluptuous, smooth and shiny. 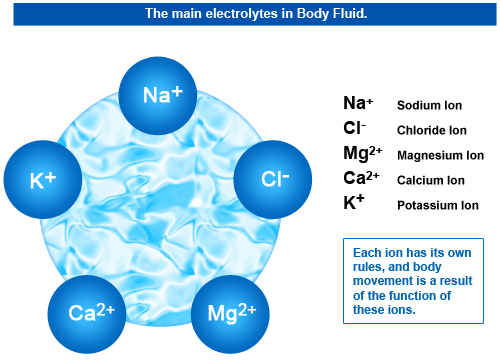 Something to do with the proteins and vitamin B naturally present in the drink, apparently. Glossy-maned Catherine Zeta Jones has sworn by the trick for years, though admits the practice leaves her head smelling like a brewery. Now, though, an American company has launched a range of beer-based haircare products which it claims leaves no trace of a hoppy odour. Bröö offers three sets of shampoo and conditioner which use beer as their main ingredient: Pale Ale (for volume), IPA (for smoothness) and Porter (for Hydration). Rejoice, for gone are the days when we had to massage a pint of Greene King into our hair, Herbal Essences-style, in our quest for the perfect barnet. But what other health and beauty benefits can we get from the drink? The spas also offer beer-based facials, made from ground hops, malt, honey and cream cheese. If you can’t afford to go full lager-Cleopatra, resting your feet in a large bowl of beer has also been recommended as a way to soothe them. Advantages: it’s cold and carbonated. Disadvantages: potentially sticky. A 1998 Finnish studyfound that men reduced their risk of developing kidney stones by 40 per cent with one bottle of beer a day. Researchers suggested the hops in the beer strengthened calcium in the bones, preventing it from developing as stones in the kidneys. Massage therapists suggest rolling a can of beer underfoot, or placing one between your shoulder blades, leaning against a wall and rolling it from side-to-side. “The pressure loosens up muscle tissue and encourages blood flow to the area,” one claims. Teetotalers could try the same thing with a can of Fanta. A lager or stout a day can stop cataracts from forming, according to research by Canadian scientists, because of antioxidants in the drink. But three or more beers a day were found to have the opposite effect. And finally, even drinking non-alcoholic beer has been found to improve your confidence. In one study, researchers told some participants they would be drinking alcoholic beer, but gave half of them a non-alcoholic drink, while others had nothing to drink at all. Participants who were told they had drunk beer consistently rated themselves as funnier, smarter and better-looking during their talk – whether they had had the alcoholic version or not. Bad news for beer drinkers; not only did studies find that brew could dull your brain, but a new study has found that it just may be the reason you’re covered in bug bites. 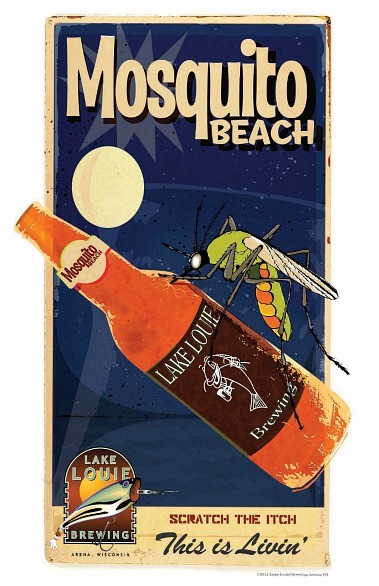 A study released by the National Center for Biotechnology Information has found that people who drink beer are more attractive to mosquitoes. Just one beer could make you a target for the bugs. The study tested 13 volunteers as test hosts, according to the study. Researchers measured ethanol content in sweat, sweat production, and skin temperature before and after the subjects drank of 350 millileters of beer. And while they originally thought the attraction was because drinking increases the amount of ethanol in sweat, or because it increases body temperature, neither of these were found to correlate with mosquito landings, according to The Smithsonian, so the attraction is a mystery. The study also found several other factors that affect vulnerability to mosquitoes, including exercise and metabolism, clothing color, and pregnancy. Located a few hours outside Munich, the setting for the Starkenberger Brewery castle is pretty ridonkulous, though, with the glory that’s awaiting for you inside, you probably won’t want to spend too much time out there. As a brewery Starkenberger’s been at it for more than a hundred years, and is currently (and always has been) run by women. This bearded dude is merely one of their minions. Residing in the old fermentation brewery, there are seven total pools in a Turkish-bath-like room, each of which are heated and contain 12,000L of water enriched with 300L Biergeläger (remote yeast). Fun fact: ever since the days of ancient Egypt when Cleopatra bathed in beer while Mark Anthony was off conquering empires, beer bath’s have been rumored to have a healing, restorative effect. You’ve gotta make reservations in advance but for $298/ pool (and an additional $6.50/ person) this could be you sharing a beer pool with blonde coeds. Your two hours of beer bathing also come with beer crackers and a “Tyrolean meat spread” plus one non-swimmed-in bottle of suds per person; because actually drinking the pool beer would be insane… right?? Of course, Starkenberger Brewery doesn’t have the only place to bath in beer. You can also go to Chodovar Brewery in Czech Republic. With Summer here in the US many of us are wearing tighter fitting or more revealing clothing, like a bathing suit. With this in mind, you might want a beer that doesn’t pack as many calories. Here is a list of beers to get you started in that direction without having to drink any of the macro beer swill. 1. Yuengling Light Lager: Looking for a full-flavor lager that’s still light on calories? Search no further. Yuengling managed to combine the health benefits of a lager with a lower carb count. At only 99 calories, this is a solid selection for a healthier classic brew. 2. New Planet 3R Raspberry Ale: This newer brew skips the gluten and uses sorghum, corn, and raspberry puree malt to create a not-too-sweet, fruity brew with extra antioxidants (from the berries). Perfect for those looking to enjoy themselves while avoiding gluten. Bonus: New Planet donates a portion of sales from this beer to Colorado-based non-profits using the 3R philosophy — reduce, reuse, recycle. 3. Abita Purple Haze: Don’t enjoy the bitter taste of beer but still want to reap the heart-health benefits? Have no fear! Abita infused this brew with real raspberries to deliver a fruity aroma and a sweet taste. The berries pack an antioxidant punch and give the beer its namesake purplish hue. 4. Left Hand Good Juju: Complete with a hint of fresh ginger (one of our favoritesuperfoods! ),this unique ale combines unique herbs and spices to bring out a full flavor. This lighter-bodied brew is perfect for those that want full flavor without sacrificing their waistline. 5. Guinness Draught: This dark Irish blend — famous for quenching thirsts on St. Patty’s day — is a classic beverage with a creamy, decadent flavor and a sneakily healthy twist! Packed with phenols, this super-dark staple brings the taste and feel of a stout with fewer carbohydrates and calories. 6. Sam Adam’s Light Lager: Creating a light beer that still stands up to the Sam Adam’s taste was no easy task. Brewers stuck to the basics and invented a lighter calorie beer that didn’t sacrifice flavor, making this beer perfect for those looking to stay health-conscious without skimping on taste. 7. New Belgium Blue Paddle: This brew packs the hops without expanding the waistline, since it’s relatively light in calories. Complete with a fruity, herbal aroma and a slightly bitter finish, this beer delivers a healthy wallop! 8. Full Sail Session Lager: This full-bodied, old-school brew is a far cry from bland mass-produced lagers. With a positively measly calorie count and plenty of flavor, this classic beer is perfect for any summer gathering or meal. Plus, it comes in adorable “stubby” bottles with sweet retro labels. What’s not to love? 9. Butte Creek Organic India Pale Ale: Looking for an organic pale ale that is made free of potentially hazardous pesticides and chemical fertilizers but still tastes great? Look no further! Butte Creek has managed just that with this Indian pale ale. 10.Sierra Nevada Pale Ale: Combining a heap of hops with slight hints of orange blossom is no small task. Sierra Nevada pulls it off with this award-winning brew. *Note: All nutrition facts are based on a 12-ounce serving unless otherwise noted. Are you sick? Maybe you should try to drink a case of beer. A study conducted by researchers from Sapporo Medical University (funded by Sapporo Breweries) found that the compound humulone present in beer was effective against respiratory syncytial (sin-SISH-uhl) virus. Humulone comes from hops, the plant that gives beer the bitter taste. The virus, according to Centers for Disease Control and Prevention, infects lungs and breathing passages. Although, many people recover from the infection, young children and older adults may show more complications. In the U.S., the virus is the most common cause of bronchitis and pneumonia in children under 1 year of age. “The RS virus can cause serious pneumonia and breathing difficulties for infants and toddlers, but no vaccination is available at the moment to contain it,” said Jun Fuchimoto, a researcher from the company, AFP reported. Humulone even reduced the inflammation caused by the infection, the brewery said. However, to get any real benefits of the compound, a person will have to drink 30 cans, each of 350 milliliters (12 oz) of beer. The study also said that certain compounds in beer xanthohumol, flavanones, humulones and proantocianidins are being studied for their cancer fighting abilities. 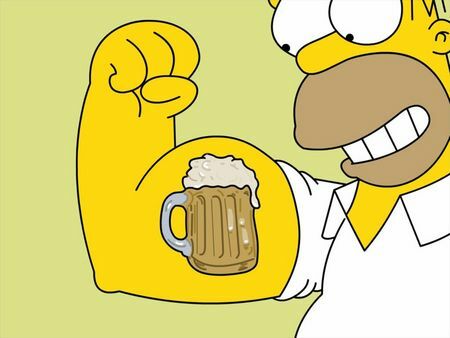 Beer is rich in nutrients like carbohydrates, amino acids, minerals, vitamins and polyphenols. Hops are the main source of phenolic acids in beer. Dried hops have 14.4% of polyphenols, mainly phenolic acids, prenylated chalcones, flavonoids, catechins and pro-antocianidins. Researchers say that presence of polyphenols in beer or wine, make these beverages safer to drink and protect against heart diseases than spirits, according to a study by Sara Arranz and colleagues. Arranz added that presence of volatile nitrosamines in beer has been linked to cancer. However, beer manufacturing has changed and so the beers produced now, if consumed in moderation, can protect against cancer and heart diseases. 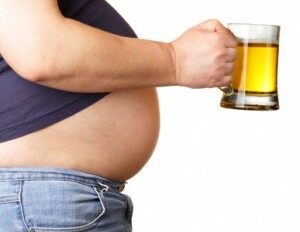 Anyone who drinks beer on a regular basis knows that without exercise an increased waist size is in the future. Now it seems that this beer belly can lead to a broken hip. Men with beer bellies – even younger guys — may be at increased risk for broken bones, a new study suggests. It’s not just an issue of being obese, Harvard University researchers reported at this week’s annual meeting of the Radiological Society of America in Chicago. It’s where the excess weight accumulates. Fat that is stored deep in the abdomen appears to be far more destructive than fat stashed just beneath the skin. Bredella and her team studied 34 obese men whose average age was 34. “These were young men who were obese, but otherwise completely healthy,” Bredella said. What they discovered was the men with large guts had much weaker bones, Bredella said. The researchers first scanned the men’s abdomens and thighs to assess fat and muscle mass. Then the men underwent a high resolution CT scan of the forearm. Half the men in the study had significant beer bellies, while the other half were just as obese, but their fat was distributed all over their bodies. To get a sense of how strong the men’s bones were, Bredella and her colleagues used a computer technique known as finite element modeling. “It works by breaking an object into tiny cubes and then predicting how each little cube will react if there is a force applied to it,” she explained. “The computer adds up all the elements and then can predict how strong the object is. The same kind of modeling is used in bridge and airplane design. The researchers don’t know yet how having abdominal fat hurts bone, but Bredella believes hormones play a role. 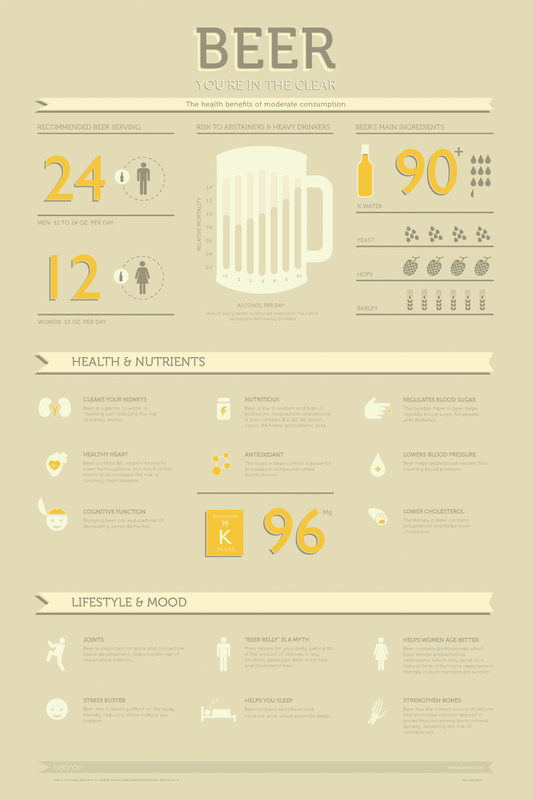 We have long reported the benefits of moderate beer consumption, and today we present to you an infographic with the facts.